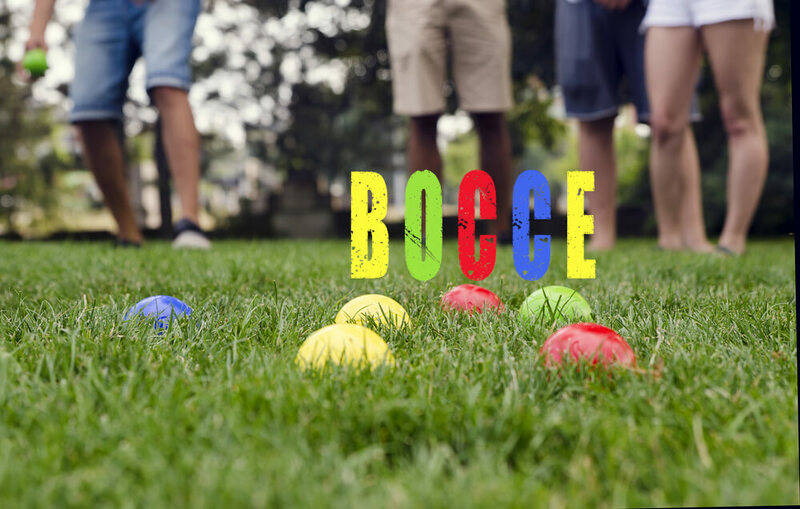 Bocce is a traditional game that has brought fun to family camping for so many decades. Next to croquette, this is easily the game that is passed from generation to generation. It has a common ancestry of ancient games played in the Roman Empire. As a camping or beach time favorite, I don’t even think I need to explain Bocce because it’s so well known. The game of Bocce is traditionally played in a Bocce court of 90 feet in length, 8-13 feet in width. But can easily be played in any terrain, anywhere. A great option for a game that each generation of your family, even young kids can play and enjoy. But don’t let down your guard and think this will be a boring, quiet game. Bocce will be excitable and get you each jumping up and down when you get your ball closest to the target and win a round. You have been warned! Bocce has been and even with learning new games always a classic Backyard Game for us. This is a go-to. This is especially one of our favorite games to take with us camping. No matter the group you have it’s likely that almost everyone will have played and loved Bocce ball. This is one of our tradition games that we play in a tournament on our annual February camping. Yes we camp in February in Canada. In Simple Terms, Bocce is a game including 8 larger balls and 1 small white ball. The first person throws the white ball and all other players compete to get their colored ball closest to the white ball. Sounds fun? Read on! 8 Bocce Balls, 4 of each color. Red, Blue, Yellow and Green. Regulation size Bocce balls weigh 2 lbs and have a standard diameter of 107 mm. The best part of Bocce, is there is no setup!! Simple unzip your carrying case, hand each person or team a ball and get ready for some fun! There are 2 ways to play, you can play a regulation game in a Bocce court, or you can play almost anywhere in an open area. If you are playing in an open area, you will need some space, ideally a large space, to play bocce, the minimum recommendation is a medium sized backyard. This is how we play in an open area. The rules to play Bocce are really simple. Unless you are playing in an Official Bocce league, which we have not included instructions for and kept it simple for the backyard. For up to 4 people playing each person takes 2 of the same colored ball. For 2 people to play, each player only selects the 2 of the same colored ball. If you are playing with 8 people, each team of 2 selects 2 of the same colored ball. You can be creative with how you decide which team goes first. Rock, Paper, Scissors, choose a number low or high, straws, or simply who is the favorite. After deciding who goes first go counterclockwise in the group to assign the rest of the order. You won’t always be standing in the same order for the start of each round so you need to know the order of throwing prior to starting the game. At this point also choose if you will play to 12 or 21 points before commencing the game. The team or person who wins the first play, gets to throw the white ball, also known as the Jack. The reason for this is the person who throws their ball closest to the Jack’s wins the round point. Throwing the Jack can be to the advantage of the person who throws it, as you can use the exact same form and strength when throwing that maybe you can throw your ball to get to the same location. If you are playing on a court, aim for the 8 feet before the back line. If you are playing in the open, get creative, find interesting places to throw the target, either super short or far away, with hills in the course, with obstacles in the way, or in a location you will need to bounce off of a backboard for the most challenging. Once you throw the ball, wherever it lands is the new target location. So if you threw it aiming for one spot and it rolls all the way in a different direction or you can’t see it in thick grass, there are no re-do’s of you throw. You get the option to set the tone of difficulty for that round. If it is not your turn to throw the Jack, watch carefully to see where it lands when another person throws it. If the person throws it into tall grass and you can’t see the ball you still need to blind throw in the direction you think the target might be. This can add a bit of challenge to the game, so always watch the pitcher. After throwing the white ball, watch where it lands and you get to throw first. You can choose to throw the ball underhand or “lob” it with your hand on top of the ball. Throw the ball, aiming it to get closest to the Jack. In the play below, the green player is closest to the Jack and would win the round. The person closest to the Jack wins the round and is awarded a point. If your ball is touching the Jack, you get 2 points. If the 2 closest balls are by the same person or team, you would get 2 points. Your ball can hit other players and knock them out or it is acceptable to hit and knock the jack away from it’s original position too. Be aware, this game can get competitive. Don’t be surprised if you find yourself or a team mate measuring the proximity of the balls with a measuring tape or stick to determine the point. The winner of the round gets to throw the white ball first. This can be an ongoing advantage if you continue to win the rounds. The first person or team to get to 12 or 21 wins the game. Game description: A classic game, that is super easy to learn and to play and can be played in small to large groups. Bocce can be played on all types of terrain and all that's required is 8 colored balls and one small target that provides hours of entertainment.